Office space prices ranging from ₹499 - ₹59000 per month. With over 870,000 sq. ft. of office space this business centre is strategically located on Gurgaon Sohna Road Expressway as part of a business park that has a health club, training rooms and a number of restaurants. Just announced - This Centre is based in a convenient address in East Gurugram and well connected to public transportation with a bus stop and a Metro Station within walking distance. If you would like to go out for lunch or dinner with a client you could visit one of the international restaurants. On this space is onsite Staff available to help you out if you would need any assistance. Further you can use a lot of amenities as fresh fruit water and micro-roasted coffee bar to start your day right. 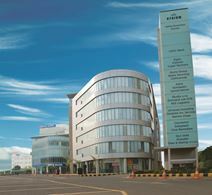 This business centre is close to Delhi and just moments from Cyber City. Highly accessible by road and the metro network, this business centre is located on the fifth storey of the building, and offers serviced office space along with a range of business support services. Located in the satellite city of Gurgaon, which is very well connected with Delhi Metro's Yellow Line and is only a half an hour away from the Delhi international airport. The Centre offers free programs allowing local business owners to develop new skills as well as they provide free of cost workshops on digital marketing, understanding your customer, how to pitch etc. It is strategically located in SushantLok, a stone throwaways distance from MG Road. An elegant business centre is available in the commercial district of Gurgaon, an upcoming area with affluent shopping malls, fine-dining restaurants and not to forget the impressive Trident Hilton Gurgaon Hotel. The centre is very contemporary in design and also offers the best in customer service. There is a welcoming reception area followed by spacious meeting rooms equipped with a LCD projector, video-conferencing system and high-speed Internet connection. Tenants also would feel at home in the stylish business lounge which comes with a huge plasma TV, top-of-the-range coffee machine and a fully-equipped kitchen. This plug-and-play office space is set within a Grade A building on a three-side-open corner plot with free large parking bays in the heart of Gurgaon, City Centre Sector 29. 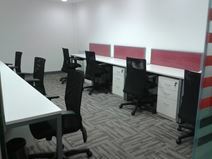 With customisable Grade A interiors this office space is conveniently situated in the City Centre Sector 29 of Gurgaon. The ready-to-move-in contemporary space provides a range of private office suites and conference room access. Situated in Cyber City with great access provided by rail and road, and close to the airport this integrated technology park is home to leading software and IT organisations. Situated in Cyber City within a state-of-the-art commercial business precinct, this vibrant office space boasts exceptional business facilities and services - all included within one single price. The building is well connected to public transport and is easily accessible via the raid metro rail network and expressway. The space is surrounded by a diverse range of eateries, cafes and retail outlets. Situated in Indias largest integrated business district, close to luxury hotels and other facilities, this stunning business centre offers cutting edge office accommodation in an inspiring environment. Our team will provide superb levels of service, and your business is sure to thrive here. These co-working spaces and private offices are ideal for all clients, whether they are starting small or are a more established business. 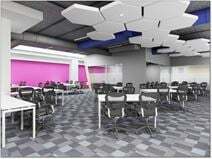 Private phone booths and a variety of meeting rooms with projectors are just some of the added benefits to this centre which ensures that each and every client can work professionally and efficiently. In addition, personal lockers are available to ensure that each client's belongings are always safe in this centre and event space is available to use should clients want to host a larger event. A pantry is also included as well as break out space and an outdoor terrace for clients to relax in. Located directly next to National Highway 8, clients can take advantage of being able to access Delhi International Airport easily. In addition, there is a great selection of places to dine and shop as well as thee being many ATMs and fitness centres for clients to take advantage of. This centre also has the benefit of overlooking some of downtown Gurgaon's amazing skyline. Many metro stations and train stations are conveniently found close by, making commuting to this building very easy. 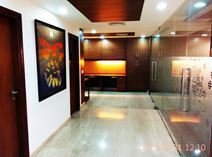 This prestigious building in Gurgaon consists of office spaces fully furnished and decorated to a high standard to offer an elegant working environment. These office spaces are provided with all the services and facilities needed to run a successful business, including state-of-the-art IT solutions, meeting and conference rooms, lounge areas and a highly professional staff to support your business. Available in various size and at flexible rental terms, these offices can accommodate any of your requirements. The building is surrounded by luxurious hotels, restaurants and numerous shops and is well connected to the airport. This office centre is located in Gurgaon, with the local metro station just 2 miles away. This is an elegant and stylish complex that meets the demands of modern business. Offering a range of offices, meeting rooms and more. DLF Cyber City, the CBD of Gurgaon is flooded with MNCs and class clientele to create the best business network with endless possibilities. Find some of the best eateries and bars within the neighbourhood so you can unwind after a day of hard work and keep your social life as good as your work life. There is, in all honesty, no better place to be. Set inside a Grade A building, with everything already set up, you just need to bring your electronic hardware and let the centre operators handle the rest. 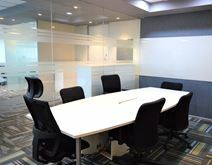 Whether you need a one person private cabin, a ten person external office overlooking Cyber Hub, or a blank canvas to customise your workspace to fill your large operational requirement this centre has it all and offers competitive pricing and some of the best in class amenities are all under the one roof so this space is an ideal space to be your future office address. Just announced - Home to large international businesses, DLF Cybercity is a great place to work with prime access to the metro line and access via buses. A neighbourhood filled with eateries, restaurants and cafes from fast food joints like Domino's Pizza and Subway, to internationally known restaurants like the Hard Rock Cafe and local restaurants like Made in Punjab and Burma Burma Restaurant and Tea Room. This co-working and private office space is designed to promote productivity. By offering month-to-month flexibility, your business can expand based on your individual business needs. More than just office space this center offers the opportunity to become part of a community by hosting regular in-house events that connect you organically. More information on this location is coming soon, but we’re gladly accepting inquiries. Situated just 1km from the DLF Golf Course, this state-of-the-art office complex provides work-space for up to 200 people. There is a large atrium, reception lobbies and a choice of breakout areas as well as a range of business support services and comprehensive facilities. The center is surrounded by a wide variety of local amenities, including premium restaurants, hotels, medical facilities and shops. This elegant business centre with its sleek glass exterior provides world-class facilities to multinational corporations, including a large break-out space. It is located on the main DLF Golf Course Road with good entry and exit points to the rest of Delhis National Capital Region, and sits amongst luxury restaurants, hotels and shopping plazas. Located in the heart of Gurgaon and close to several local bus stations for convenience, this business centre has fantastic, modern interior design and offers serviced, plug-and-play workspaces with state-of-the-art conferencing facilities. The centre is located in a Mall which hosts a variety of retail outlets, fine dine restaurants, luxury car showroom, a 7-screen multiplex and a 5-star Hotel adjoining this property. Furthermore they offer options to work beyond office hours and on public holidays as well as they have on-site community managers and centre team is available to help you with any requirements. Parking facilities can also be availed by members. Members also get tea, coffee and printing credits on a complimentary basis. 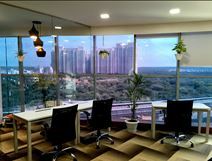 An office buzzing with energy offering exciting, vibrant, energized space that cater to all your office needs. As an entrepreneur you can enter with a dream and leave with the grin of success. Endless opportunities are at your office door whether you're a passionate blogger or simply a freelancer. Work in a space that will help to nurture your ideas and help grow your business. Share a neighbourhood with large international companies like KPMG, Phillips, IBM, Deloitte as well as international financial institutions like the Royal Bank of Scotland. A variety of eateries, restaurants and bars like the Hard Rock Cafe, Dunkin' Donuts, Domino's Pizza, the Beer Cafe and the Wine Company can be found nearby, and with the addition of public parks and access to several metro stations, you won't be limited for choice of facilities. A premium serviced office centre thoughtfully crafted to suit the office space needs for all. This beautiful centre is equally complemented by a stellar hospitality team to ensure that each day spent in this workplace is truly inspiring and productive. The environment is chic, fun and inspiring with well thought out offices, designed with modern furnishings, innovative break-out areas which allow you to unwind and the best IT&T infrastructure for any individual, company or MNC to work out from. This centre offers you premium serviced office solutions and is located in the most sought after location of Cyber hub. The building has good connectivity and houses various multi-national companies. 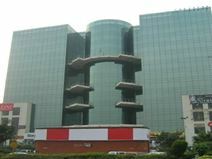 Cyber Hub in DLF Cyber City, Gurgaon is very popular with the office goers in the vicinity considering it is right in the middle of the corporate hub of Gurgaon. This is where you will find some of the best restaurants and bars in the city and the place is always buzzing with crowd. Situated next to National Highway 8 with rapid metro connectivity this location is extremely popular with people to unwind a bit and have a great time. Flooded with new and old food joints with food ranging from street food joints to swanky restaurants and even offering a 360 degree experience for the visitors. The three floor social centre is always brimming with people and is the preferred choice for corporates right from holding business lunches to unwinding and relaxing after a day of hard work. Adjacent to Cyber Hub, near the metro station and within close proximity to various restaurants and cafes this location is easily accessible via public transport and car. Perfect for startups, freelancers and bloggers, this space is loved by many not only because of the atmosphere of the co-working office but the opportunities that are at your fingertips. With mentors who understand what startups need to grow their businesses; this is a one stop solution for all your startup needs. A premium office space with state of the art facilities all at a low cost. Located in Cybercity with all the action at your front door you won't miss anything that happens in the startup community. Located on Mehrauli Road just across the Delhi-Gurgaon border, this business centre offers superior facilities and unparalled services to cater even for the discerning businesses. The buildings are modern, the office spaces are fully equipped and virtual office facilities are also available. Neighbouring amenities include shopping malls (DT City Centre, MGF Mall, and Sahara Mall), residential complexes (Garden Estate, Laburnum, Heritage City) and offices of international organizations (Aviva, HSBC Bank, Pepsi, Times of India). Fully equipped with the latest technology this centre provides a range of flexible office space solutions including videoconferencing facilities and on-site support staff and shares a building with major multinational companies including Microsoft, KPMG, FCM Travels, Yokohama and many more. Close to the airport and just off the National Highway-8. The centre is in the heart of Gurgaon. You can easily access to the centre by bus or metro. National Highway eight, Udyog Vihar and the Gurgaon Rapid Metro are also close to the centre. 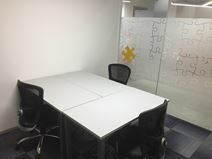 The centre provides flexible seating options, dedicated desk space, private offices, meeting rooms and several breakout areas. Besides, it provides a convenience store, few cafes and a fitness centre to ensure all your needs are met in the centre. A co-working space with a biker theme. It is open Monday to Sunday from 10:30am to 6:00pm. There is a broad menu offering a range of food and drink options. High speed Internet is accessible throughout. Located on Golf Course Extension Road. It is 7 minutes' walk to the closest bus stop. There is free parking for those who drive to work. Indira Gandhi International Airport is a 30 minute drive from the centre. 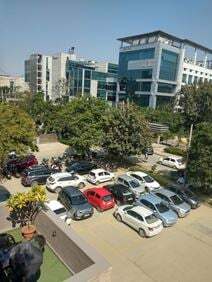 Office spaces to rent in the popular Gurgaon area, one of the most sought after business locations for multi-national corporations such as Coke, Gillette, HP, Microsoft, General Motors, American Express and Xerox. The office is well decorated with bright colours and modern furniture, further complemented by professional business support services. High-speed broadband access is available along with video-conferencing facilities. Both the domestic and international airports are within easy reach (approximately 30 minutes’ drive). This centre is close to world class hotels, restaurants and malls, and near to public transport connections. This is one of the finest buildings in the area, offering spacious offices and generous car parking facilities. This commercial development provides a prestigious address in the heart of DLF5, Gurgaon. It is close to the exclusive DLF Golf and Country Club and provides premium office space on the 12th floor. One of the most sought-after Platinum LEED certified buildings in Gurgaon is home to this business centre. On offer are 60 offices that house a total of 270 workstations, along with a choice of four meeting rooms. Made up of three meeting rooms and 493 workstations this business centre provides a mix of fixed and flexible desks as well as premium cabins which combine to provide a vibrant community environment in a prime Gurgaon location on Golf Course Road. Housing both coworking and serviced options this modern business centre is located on Golf Course Road, Gurgaon within walking distance from rapid metro station. Tenants benefit from advanced IT infrastructure as well as meeting and conferencing facilities. Well located on the Golf Course Road, and conveniently located right next to a Rapid Metro stop this business centre provides open-plan, contemporary workspace ideal for entrepreneurs and multinationals alike. This space is well-equipped and fully-furnished. Energetic work spaces inject life into your day-to-day. Phone booths are accessible to make private, quiet phone calls. Common areas are available for breaks and discussions. Exclusive events are available for members. 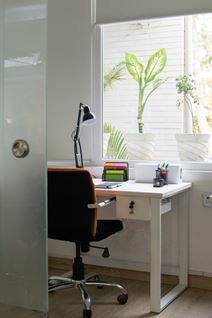 24/7 access to the space enables you to reach your work space at any time of the day and week. Situated on the bustling Golf Course Road in Gurugram. Sector 54 Chowk Metro Station is an 8 minute walk from the space and the closest bus stop is 4 minutes' away. In the surrounding area you can find restaurants, banks, bars, hotels and ATMs. 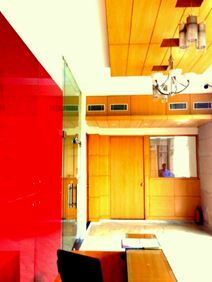 These offices are located in the heart of Gurgaon, and can offer an elegant and impressive venue for your business. The offices provide a range of solutions, and are available immediately. Spread over two blocks this business centre has been designed by a world-renowned architectural design firm and provides over 2,20,000 sq. ft. of office space. It is also only a 40-minute drive from Indira Gandhi International Airport. Situated in Gurgaon with excellent road and transport links, this business centre offers excellent serviced solutions for businesses of all sizes. Situated in a convenient sector of Gurgaon, this business centre provides ideal business space and resources for call centres and out-sourcing initiatives, with high-spec IT and telecoms and plenty of space. Tenants in this space will be able to access their fully-furnished, serviced, "ready to use" office space 24-hours a day. These serviced private offices can be customised to suit your requirements, whether you need a private space, or you'd like to work collaboratively in a shared environment. This centre is located in Cyber City which is conveninetly located close to the metro and the retail platform known as Cyber Hub, making it easily accessible by public transport. With great road connections, and close to major landmark hotels, shopping centres and much more, this excellent business centre offers a superb working environment for IT organisations. This centre offers an ingenious integration of commercial and retail space. The workspace has to it's credit varied amenities like fine dining options, premium lounges, cafes and other retail brands that complete the Work-Play ecosystem. This location is well connected and easily accessible via the rapid metro rail network and the expressway, also in close proximity to the Domestic and International Airport. 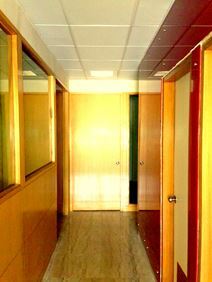 This office space is located in IMT Manesar, a well serviced business park, and provides fully furnished, well-designed work spaces to suit varied business needs. Easy and convenient options for freelancer and entrepreneurs, start-ups and small and medium business alike are provided, with a host of value added services thrown into the mix. There are hotels in the vicinity for oversees clients and easy access to main roads. Located in Sector 32, the Institutional Area of Gurgaon this business centre is ideally situated for access to transport links and provides a range of flexible workplace solutions including customized office suites, studios and private office space. Situated in the heart of the Gurugram City, this center is a short ten-minute drive from Huda Metro Station - connecting commuters to the yellow line metro services. The center's mission is to be a supporting environment for start-ups and entrepreneurs, students and professionals alike. The space boasts a diverse range of local amenities including hotels, markets, medical facilities, eateries and banks. A minute walk from Sikanderpur Metro Station this centre is in one of Gurgaon"s most sought-after locations, where Golf Course Road and MG Road meet. Whether you require private workplaces, meeting rooms, coworking spaces, or dedicated offices this centre is ideal for small start-ups and major corporations alike. Open 11:00am until 6:30pm, Monday to Friday, this co-working space is best known for it's lip-smacking cuisines from across the globe. Extravagantly equipped with entertainment for all your celebrations, big and small for when you achieve that goal you've been working hard for. An ideal environment to work with and enjoy socialising with new people. Providing great accessibility, this space can be accessed via IFFCO Chowk metro station, or with free parking provided you can utilise the roads around here by driving to work. Nestled among restaurants, bars and cafes, and near to banks, the Lemon Tree Premier and Crowne Plaza hotels, musical fountain and Leisure Valley Park with an open air theatre and the Kingdom of Dreams Bolly-wood style theatre venue nearby, this location provides access to a variety of leisure options. 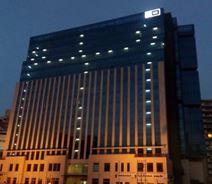 Serviced offices housed within an iconic listed building in the heart of Gurgaon city centre, with excellent connection to the metro rail service. The international airport is a short ride away whilst other conveniences such as banks, hotels, restaurants and cafés are located close by. The office comes fully equipped with latest IT equipments including super-fast broadband access to create a comfortable working environment for businesses of any size. Located in the heart of Cyber City this centre is within one of the top three most sought-after locations in India. An on-site management team help assist with your business requirements while tenants also have access to breakout areas and conference rooms. 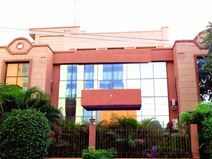 With a prestigious business address on MG Road this center provides 166 fully furnished workstations in a variety of arrangements and on flexible terms. The center also has seven meeting rooms of various sizes and is close to a number of multi-national companies and impressive malls. Within walking distance of MG Road Metro Station this prestigious business address offers a variety of commercial office spaces and virtual office solutions. 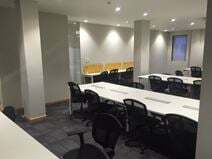 There are also a number of meeting rooms and HD conferencing rooms available for use. The space is tastefully done with best in class office interiors for a truly global clientele and is just a two minute walk from the next metro station as well as just a two minute drive from Delhi-Gurgaon expressway. Eateries and entertainment are in walking distance from the office or you can enjoy coffee and chai from 'Café Coffee Day' while venturing through the separated pantry area. Well connected to public transportation with two Metro Stations about 2 kilometres away and bus stops within walking distance to the centre. They offer private cabins of different sizes which you are able to configurate if you would like to as well as they offer fully-equipped meeting rooms and the option for a virtual office. Eateries are close to the centre and they have an on-site IT admin available if you need any help. With its courtyard-style mixed-use development design, this office space is ideal for SMEs and individuals looking for accommodation surrounded by shopping and dining options and not too far from a residential area; a prime South City Gurgaon location. Opening soon. A contemporary, chic office space. The interior is quirky and modern. Enjoy fresh fruit water and micro-roasted coffee. There are frequent professional and social events to enjoy with your colleagues and meet like-minded people in your community. Located on eight floors of a contemporary building. It is an 18 minute walk to the Vodafone Belvedere Tower metro station and a 10 minute walk to the closest bus stop. For those who drive, there is parking available onsite. In the surrounding area, there are bars, restaurants and shops. In the heart of Gurgaon this modern and fully furnished workspace is ideal for start-ups looking to be part of a supportive community. Tenants also have access to reception services, IT services, on-site HR and legal services, conference room usage and on-site admin support. If you need to set up and get working straight away these plug-and-play offices in the heart of Gurgaon could be the ideal place for you to grow your business. You will also have access to meeting and board rooms with state-of-the-art video conferencing facilities. Just announced - A co-working and private office space, offering month-to-month flexibility, in a space to suit your agile needs, all under one all-inclusive rate. A space designed to promote productivity for individuals all the way up to teams of 100. Have the freedom to focus on your business, while the community leaders take care of the rest. Become part of a community through in-house events hosted weekly that connect you organically to your peers. Located just east of central Gurugram, just off the Dehli - Ajmer Expressway, you can find yourself in arms reach of all the infrastructure you may need in life from accommodation in hotels and apartments to financial institutes including banks and ATMs ad well as hospitals, places of worship, parks and a variety of restaurants, bars and eateries to suit your dietary needs and favourite cuisines. More information on this location is coming soon, but inquiries are gladly accepted. Co-working coffee shop set in a beautiful garden. Boasting a tempting menu with luscious coffees and amazing fire oven pizza, this space offers more than just a co-working space. With regular movie screening nights, showing popular movies, this has become a central location for enthusiastic crowd Nestled just off Golf Course Road, this space is close to hotels and apartment residences, hospitals, retail venues and a variety of eateries. Access is provided via Secto 42-43 metro and Shalimar Huda City Center station and locally you can gain access to DLF Golf Course as well as spa and massage centers for when you need to decompress after a long day spent co-working. The floor area of this office is a massive 40,000 sq. ft. making it ideal for any large company. The LEED certified Green building benefits from a prime location in Gurgaon and is easily accessible on Highway 8, making commuting to and from the office quick and convenient. The building is close to Malls and retail outlets and offers convenient access to all wider parts of the city via buses and taxis. A co-working space located in Unitech Cyber Park, Gurgaon with great connection to HUDA City Centre metro station as well as cabs and shared vehicles 24/7 which can access the NH-48 (Delhi–Gurgaon expressway) within five minutes. This centre will take care of all your office related requirements, so you can focus on what you know the best and grow your business. Local to a health club, coffee shops and restaurants, this space has become an exciting and convenient place to work. Find yourself in a friendly and professional complex, complete with comfortable and dedicated desks, and high-speed Wi-Fi. Invite professionals into your office environment for meetings and events in the meeting and conference rooms. Enjoy a coffee or chai while visiting the separated pantry area. Build professional relationships and network with fellow coworkers all under the one roof. Choose a flexible membership based on your work schedule - whether you're a regular office worker or a bit of a nomad this space has all your office space needs handled and with customizable and affordable pricing there's no need to worry about the nickels and dimes while productively running your business. Positioned in the vibrant suburban business district of Marathahalli-Sarjapur this business centre is part of a large Tech Park that provides several common amenities. In addition to flexible workspace tenants have access to meeting rooms and boardrooms at discounted prices. Made up of 130 workstations and two meeting rooms this business centre is ideally located in the heart of the IT / ITES corridor in Sector 44. On-site community managers are available to help you with any requirements you might have while you will also be within walking distance of HUDA Metro Station. A co-working space with European style. The space is open Monday to Sunday from 10:30am to 6:00pm. The menu is filled with tasty options and a wide selection of coffees. Comfy chairs and sizeable tables ensure a productive working environment. Situated just off Samrat Mihir Bhoj Road. It is an 8 minute walk to the nearest bus stop. For those who drive, there is free parking available. Indira Gandhi International Airport is a 33 minute car journey away. A contemporary, chic, coworking space with virtual office options. The interior is modern, stylish and smart. Desks are accompanied by comfy chairs. Large windows offer plenty of natural light. Air conditioning ensures that the working environment is kept at a cool, comfortable temperature. Postal/ mail handling, and copying and printing facilities are available. There are also meeting rooms with conference facilities which can be booked. Situated in a high-end, modern complex, just off NH-48 (Delhi-Gurgaon expressway). It is a 30 minute drive to Indira Gandhi International Airport, perfect for international business travellers. In the surrounding area there are several restaurants. 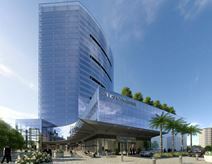 In the adjacent complex you will find Tata Consultancy Services (TCS). 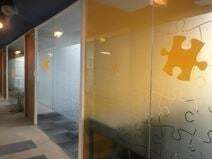 With a good community of members to interact with and share knowledge, this business centre provides plug-and play office space with a fantastic, modern interior in the heart of Gurgaon. 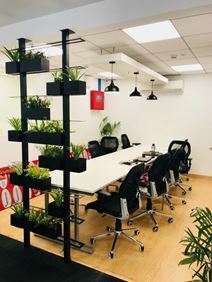 Set in a popular area of Gurgaon for both business and party goers this fully serviced, flexible workspace provides plug-and play workspace, meeting rooms, boardrooms, and IT support. Positioned in the vibrant suburban business district of Marathahalli-Sarjapur this business centre is part of a large Tech Park that provides several common amenities. In addition to flexible workspace tenants have access to meeting rooms and boardrooms at discounted prices. It is in close proximity to residential layouts like Marathahalli, HSR layout, Sarajapura, Whitefield and Belandur. Also is well connected to all forms of public transport. Training rooms can accommodate up to 15 to 20 people, and a comfort lounge. Videoconferencing, an LCD projector and on-site administrative sectarial and technical support is available to all clients. Looking for a space with all the flexibility you can imagine? This one has it. Located in Sector 28 of Gurgaon, this space is ideally situated if you're looking for a comfortable office space in a suburban area. With a range of facilities, including unlimited coffee and fruit water, plus a vibrant selection of custom-designed lounge areas, this centre is ideal if you're looking for somewhere to build your business empire. 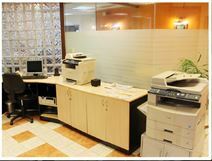 This Gurgaon business centre provides fully furnished and serviced office space that are ready to move straight into. A variety of sizes mean that this centre is ideal for start-up companies and large companies alike. The center incorporates a prestigious location with a comprehensive list of inclusive facilities and business services within an eco-friendly and architecturally impressive environment. Your new workspace is located in one of the most well-known commercial complexes in Sector-48, Gurgaon. They offer coffee and chai from the “Café Coffee Day” and high-speed Wi-Fi and it is a comfortable five minutes drive from Rajiv Chowk on Delhi – Gurgaon highway as well as it is connected to the Centre metro Station. Number of eateries / restaurants are on the ground floor of the complex. This business centre is run by a well established office provider in the Indian market and as such offers top quality services across the board. 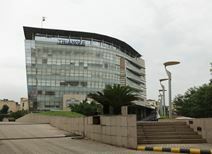 Conveniently located on NH8 and a mere 20 min drive from the Indira Gandhi International Airport (New Delhi), JMD Megapolis is spread over 10 acres and is within close proximity of major hotels like Fortune and Radisson, with major corporates such as XL partners, HSBC Bank, Atos and Sodexo in the near vicinity. Wi-Fi, telephone, conference hall, pantry, as well as a lift which are all available without any further charges, in this newly furnished office space. The centre is based within a centrally located business zone, with easy access to the metro train, airport and other public transport. A café/restaurant is available in the building and banking services are accessible within the office premises only. The space has international safety and security features including fire safety arrangements while a pantry boy and receptionist will be available as per the need. A few minutes walk from IFFCO and Huda City Centre Metro Station these flexible executive business suites are suitable for companies with a variety of needs and requirements, while boardroom access is also available to tenants. A work-space offering private offices and co-working solutions. Meeting rooms come well-equipped with audio facilities and video conferencing. Virtual office options and flexible terms are available. Situated on Udyog Vihar II Road, in Udyog Centre. Indira Gandhi International Airport is a 14 minute drive from the centre. It is a 20 minute walk to IndusInd Bank Cyber City metro station. Nearby, there are several hotels. In one of the most prominent Grade A buildings on the Cyberpark in Gurgaon, these beautifully designed office suites are suitable for between five and eight people and are supported by a community manager to provide business services as and when you require them. Just a five-minute drive from the central metro station.